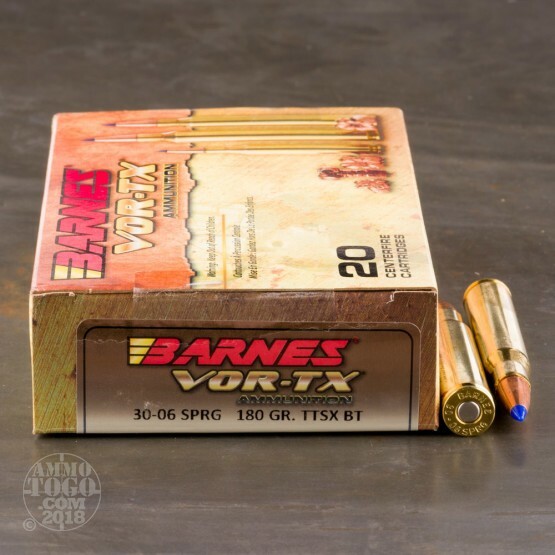 This 30-06 cartridge from Barnes features the Utah-based manufacturer’s 180 grain TTSX BT projectile. 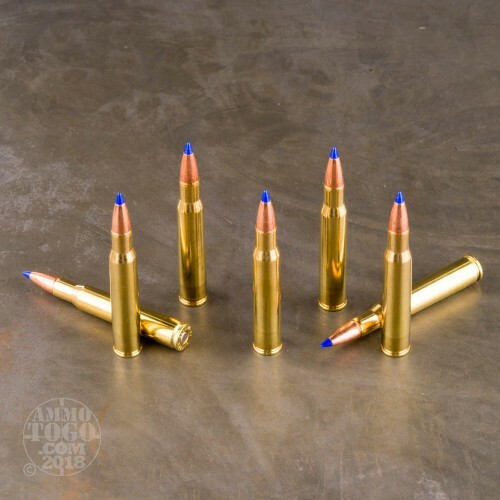 The bullet is California compliant because it is made completely of copper, and due to its monolithic composition it renders the problem of core and jacket separation during penetration an irrelevant one. Upon impact this bullet’s polymer tip initiates rapid expansion, during which four razor sharp cutting petals are extended to create a wide and debilitating wound channel -- “dead right there performance,” as Barnes puts it! The TTSX BT is an accurate projectile as well, owing to a number of reasons. 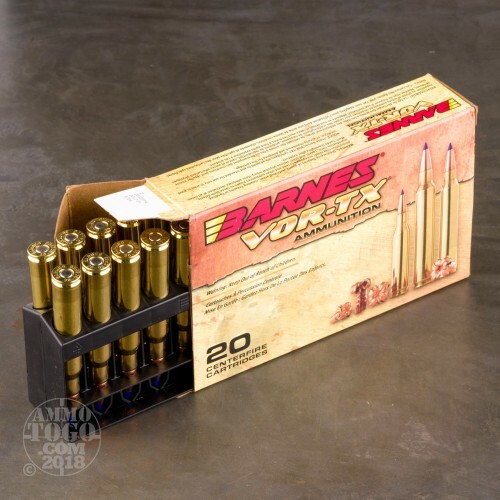 The bullet features pressure relieving grooves cut into its shank, as well as a boat tail design which heightens its ballistic coefficient to give it a flat trajectory and improved resistance to wind drift. Its tip which initiates expansion further serves to improve the bullet’s aerodynamic profile. 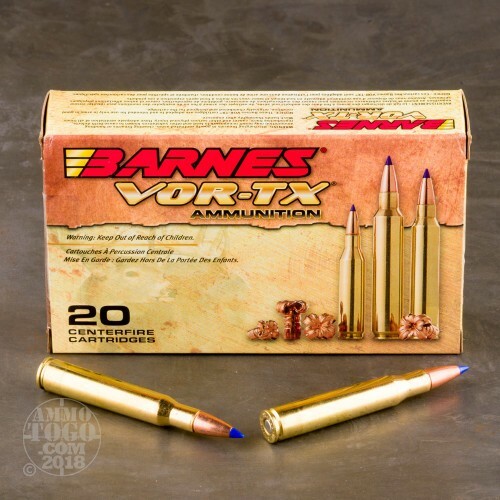 A devastating bullet that always finds its target -- that’s just the ticket for effective hunting whether you live in California or otherwise!